Prince George’s County is an extremely diverse area with respect to its demographics, and its geographic features. The county can actually be divided into 5 distinct regions, ranging from densely populated urban areas to rural farmland. The crime rate in the County is higher than most counties, and thus there are more arrests in PG County than in other areas in Maryland. It has gained a great deal of notoriety during the last 25 years due to the large number of county homicide cases. In fact, between the years of 1985 to 2006, about one fifth of all the murders in Maryland occurred here. Over the last decade, the crime rate has been on the decline, especially violent crimes such as murder, assault, and robbery but there are still thousands of countywide arrests each year. As is the case with most other counties, drug offenses such as possession of marijuana and possession of cocaine, and DUI are the most common crimes. If you or someone you know has been arrested for a drug offense, it is crucial to retain an experienced criminal defense lawyer. The Herbst Firm’s drug lawyers are standing by to offer a free consultation about your criminal case, whether it be simple drug possession, possession with intent to deliver, or manufacturing, and we are ready to fight for your freedom. Prince George’s County is one of the more populated counties in Maryland with close to 1 million residents calling it their home. It is part of the Baltimore Washington metropolitan area and its nearly 8 million residents. 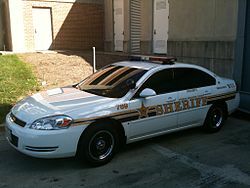 Law enforcement duty is handled by multiple police departments including the County police and sheriff’s departments, and the Maryland State Police. There are also many incorporated municipalities that have their own police departments such as Upper Marlboro, where the district and circuit courts are located. There is a significant federal government presence in PG County, and therefore federal police departments such as the US Park Police, US Postal Service Police, and the Andrews Air Force Base Security Police conduct criminal numerous criminal investigations and make a large number of arrests. Although the city of College Park does not have its own police department, the city is responsible for arresting hundreds of college students and visitors each year. Many of these arrests are carried out by the University of Maryland police department. The University of Maryland College Park is the largest institution in the state of Maryland, and is also the largest employer in Prince George’s County. Just as in any other college campus around the state, the University of Maryland police make a large number of arrests each year for drug crimes. The most common drug crime is possession of marijuana, and many times police in college park will arrest an offender for possession of marijuana even if they are only required to give the offender a citation or summons to appear in court. The University of Maryland Police also make arrests for crimes such as DUI, theft, and burglary, but these crimes are far less common than drug possession. If you are a college student, and have been arrested for a drug crime, or are a parent of a college student, contact The Herbst Firm for a free consultation. Our Maryland drug lawyers have experience handling criminal cases against college students, and we understand how important it is to have these types of charges dismissed and ultimately expunged. Do not wait to hire a drug crimes lawyer until your court date. The Herbst Firm will start working on you case immediately, and we will fight to achieve the best possible outcome in your case.